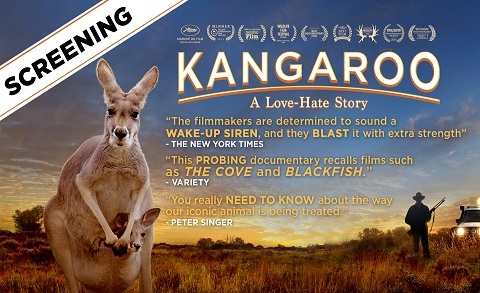 During 2018, Indievillage, the distributor of the documentary Kangaroo: A Love-Hate Story, conducted a rural outreach program, facilitating multiple screenings in Australia’s regional communities of this remarkable film about the hidden reality of kangaroo “culling.” The goal of this program was to educate individuals who have a significant influence on local attitudes towards kangaroos — Australia’s beloved icon. Overall, audiences responded positively to the documentary despite the highly sensitive nature of the subject. Many event attendees expressed a serious interest in helping to make a difference in the lives of kangaroos. To reach people in Australia’s regional communities who have great influence over the attitudes towards kangaroos. Although kangaroos are classified as a protected species, they are subjected to the largest land-based wildlife slaughter in the world and are under threat through commercial exploitation, pest management, recreational shooting, habitat loss, road collisions, and general mistreatment across Australia. Kangaroos have been evolving in the Australian landscape for 25 million years. Since the arrival of European settlers in the late 1700s, kangaroos have been considered pests and regarded as competitive to the introduced European livestock. Kangaroos cannot be farmed, so as grass-eating wildlife, they are deemed undesirable by farmers and other rural landowners. This attitude has led to poorly regulated, mass-killing of Australia’s most symbolic animal. 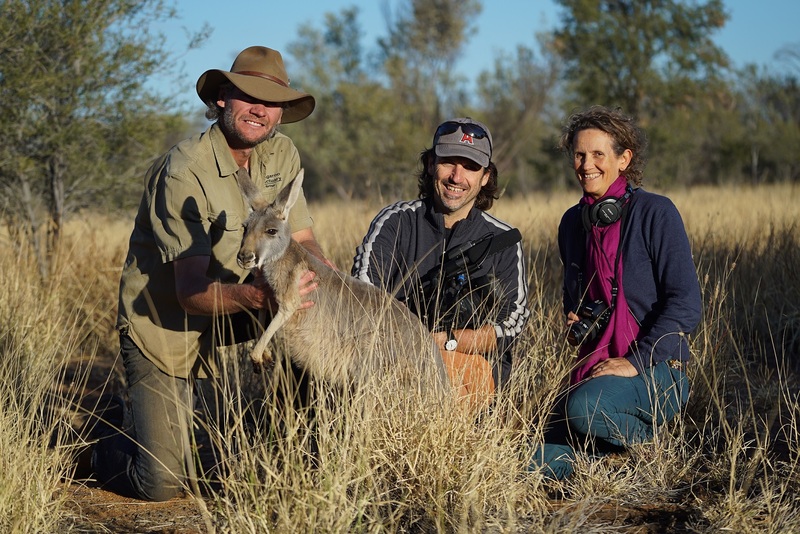 Kangaroo: A Love-Hate Story provides a wealth of insights that challenge this attitude, emphasizing the need for a change in thinking if solutions are to be found to allow humans to co-exist humanely and peacefully with this native wildlife species. It is so wonderful seeing action taken around the world. We are at the early stages now, but attitudes will change. VegFund supporting these screenings is making a significant difference in changing attitudes towards kangaroos in rural areas. Thank you to you and your team for helping make this education happen! Throughout 2018, the Kangaroo team has been assisting regional communities in Australia in showing this important film to some highly influential audiences. With VegFund’s support, Kangaroo was able to offer grants to members of these communities to cover the cost of film license fees. As a result, civic organizations, individuals, and wildlife shelters have hosted screenings of this film to educate landowners, farmers, wildlife-care trainees, and other members of their local communities. Many of these regional communities are quite isolated with little access to the internet. As a result, the Indievillage staff pitched in directly with a number of the screenings by organizing events via telephone and mail communication. In instances where online promotions were appropriate, the staff handled those too. The majority of people reached through this screening outreach program were between the ages of 31 and 45 and neither vegetarian or vegan. 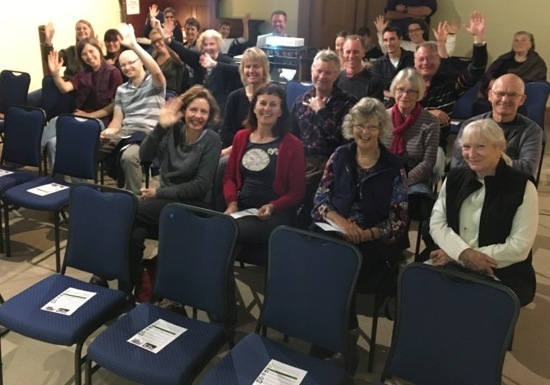 The most successful screening was hosted by a member of the Country Women’s Association (CWA), which is a large women’s organization in Australia dedicated to the rights and equity of women, families, and communities in rural Australia. This event took place alongside the Agriculture and Environment Conference and had an audience of 68 CWA members and their partners from 68 rural communities. CWA members serve as delegates for their regions and have a strong influence on attitudes in their communities. Most of these individuals are landowners with large properties, and the choices they make have a dramatic effect on the lives of kangaroos. The overall feedback received from those who attended a screening in their community has been extremely positive with many people voicing a desire to stop this barbaric treatment of kangaroos. When you are working with rural communities to host educational outreach events (of any kind), be aware of the limitations and challenges that these communities may face. Issues might include limited access to the internet and other technology, political sensitivities, or other local or national matters that could be important in designing your approach or framing the tone of your event. The direct support offered by the film distributor in organizing and promoting screenings through telephone and mail communications was vital to the success of this project in reaching influential audiences. 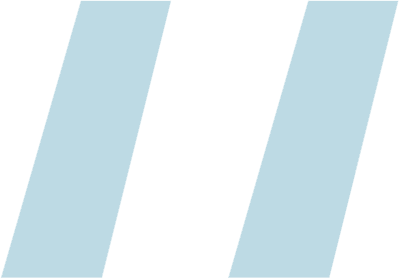 Ready to apply for a film-screenings grant?